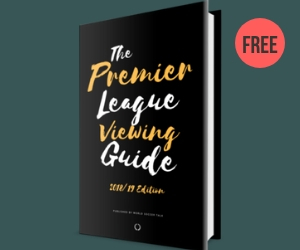 Read our guide about how to watch soccer via Sling World Sports. When it comes to finding out whether to watch soccer via Sling World Sports, the streaming service is one of the most affordable ones on the market. Contract: No contract. Month to month. Free trials: 7-day free trial is available. Soccer leagues/competitions featured: La Liga, Ligue 1, Turkish Super Lig & Copa del Rey. Add-on packages: Telugi Mini package ($5/month extra), Tamil Mini package ($5/month extra) and Francais Mini package ($5/month extra). Replay options: Sling World Sports features video replay for past 8 days of programming. Devices supported: Windows 10, Chrome browser on Windows or Mac computers, Apple TV, Amazon Fire TV, Amazon Fire tablet (running Android 4.4.2+), Amazon Cube, Roku players and Roku smart TVs, Samsung and LG smart TVs, Android TV, AirTV Player, ZTE, Channel Master, Apple iOS 8 (& higher) phones & tablets, Android 4.0.3 (and higher) phones & tablets and Xbox One. Number of streams: You can watch Sling World Sports on one device in your household at a time. Additional streams can be added with MultiStream add-on ($5/month extra). 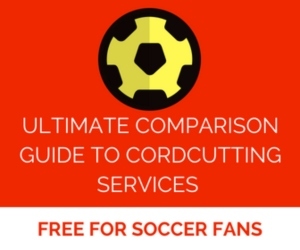 Comparison guides: We’ve created guides to simplify your decision making process. These include a guide to the 5 different Sling TV services plus comparison of low-budget streaming services. Pros: (1) Most cost-effective streaming package available. (2) Because YouTube TV, DIRECTV NOW and PlayStation Vue both do not offer beIN SPORTS, you can combine one of those services with Sling World Sports for a very comprehensive selection of soccer-related channels, and (3) Sling World Sports doesn’t require a cable or satellite TV subscription. Cons: (1) Doesn’t include access to beIN SPORTS Connect. (2) Sling World Sports only includes 10 channels (only two of which are soccer-related). If you like Sling World Sports: Consider Sling Orange or Sling Blue for plenty of other channels offered too. Or consider switching to fuboTV for $34.99/month (for the first month) where you’ll get even more soccer coverage. Accessing beIN SPORTS Connect: beIN Connect access is only available to customers with either the Sling Blue + Best of Spanish TV Extra, or Sling Orange + Sling Blue + Best of Spanish TV Extra. Have questions about how to watch soccer via Sling World Sports? Let us know in the comments section below. cheapest add-on to watch all Champions League Quarterfinals throughout final in soccer. I have a subscription to World Sports via Sling.